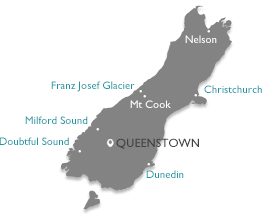 Limousine South makes luxury travel accessible for visitors throughout the South Island of New Zealand. South Island journeys are as much about stopping as they are about travelling. Outside your luxury vehicle is a non-stop natural gallery of stunning photo opportunities and chances to explore. Your experienced driver guide knows the spots the locals love and where to enjoy them whilst at the same time making sure to avoid the coaches and the crowds. It’s what our people do best and what sets Limousine South apart. Our fleet features luxury sedans, minivans and small coaches. With style and quality in mind, our late-model BMW and Mercedes vehicles are selected for the ultimate in comfort and safety. The South Island is a remarkable place to visit. Luxury touring makes it a privilege. We can help you with private airport transfers, Wanaka transfers, ski transfers, golf transfers, Rail Trail transfers, Highlands transfers. Explore the advantages of private touring; Milford Sound private tour, West Coast tour, Mount Cook and Christchurch tour, Dunedin and East Coast. 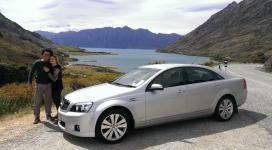 Private day tours in and around the Queenstown area. Ultimate flexibility means you choose where you go and what you see. Milford Sound private tour, wine tours, Mt Cook tour, half day and full day sightseeing. Queenstown Highlights small group tours, the easiest and most affordable way to visit the AJ Hackett Bungy Bridge, Gibbston Valley winery, Arrowtown, Lord Of The Rings and Dart River Safari.